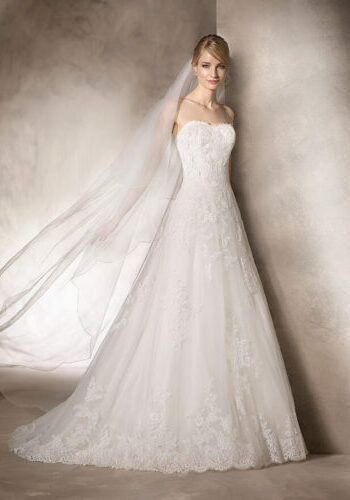 Marvelous princess wedding dress with sweetheart neckline in tulle. 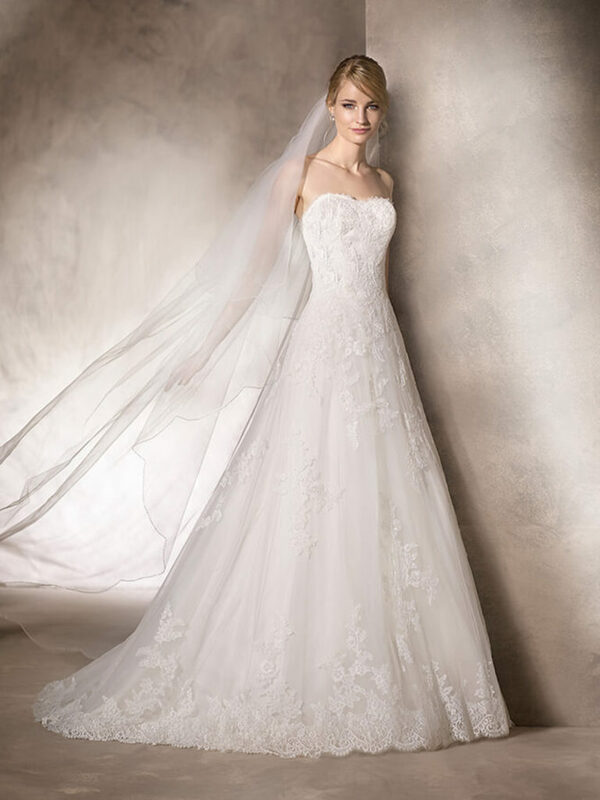 Lace and embroidery cover the entire dress from bodice to skirt. Gemstones decorate the back with an elegant, detachable detail.